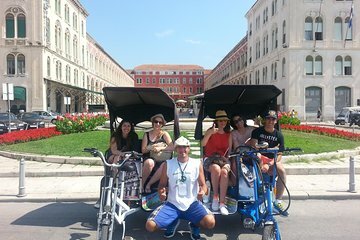 See more of Split in less time, and travel in comfort, when you embark on a private rickshaw tour of the city. Choose from three different itineraries, and pick a departure time that best suits your schedule. Over the course of this speedy itinerary, you’ll see essential highlights ranging from Diocletian’s Palace and the Riva to the Croatian National Theatre and more. If you select the more extensive full-city tour, you can also stop for a swim at Bene Beach: one of Split's prettiest stretches of waterfront.